Harmonica?!? I thought this was a uke jam! During some sessions of the Scarborough Uke Jam, we take a short detour to play our other favourite little instrument, the harmonica. 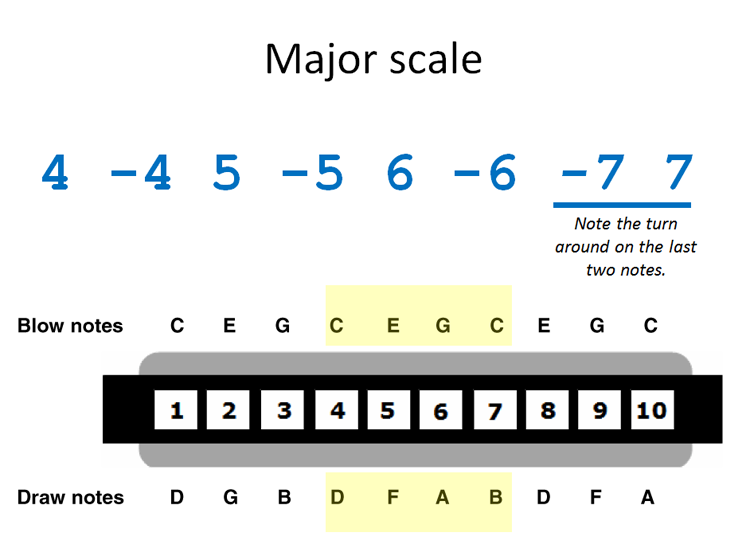 More expensive harps will work fine too, of course, as long as they are pitched in C.
Note that the numbers indicate which hole to blow or draw -- regular numbers mean blow, numbers with the minus sign mean draw.